This book is intended for those who study, use, or develop geometric modeling systems. It is devoted to the mathematical apparatus of these systems and provides methods for constructing numerical models of the geometry of real and imaginary objects. The book outlines the methods of geometric modeling, including methods for constructing curves, surfaces, and solids. It describes the algorithms and data structures of geometric objects. It also presents principles of interconnection between elements of a model. 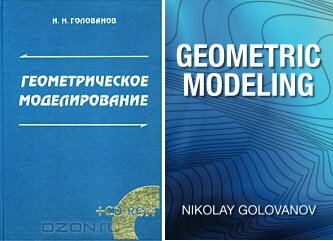 The book examines some applications of geometric models. 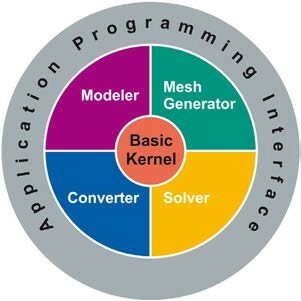 This book is based on the author's experience gained during the development of the C3D geometric kernel. "Geometric Modeling: The mathematics of shapes" at Amazon. Nikolay Golovanov is a graduate of the Mechanical Engineering department of Bauman Moscow State Technical University as a designer of space launch vehicles. Upon his graduation, he began to work with the Kolomna Engineering Design Bureau. While at the bureau, Mr. Golovanov developed software for analyzing the strength and stability of shell structures. In 1989 his colleagues Alexander Golikov and Tatiana Yankina left Kolomna Design Bureau to found software developer called ASCON. Although they began with just an "electronic drafting board," they were already conceiving the idea of three-dimensional parametric modeling. This radical concept eventually changed flat drawings into three-dimensional models. 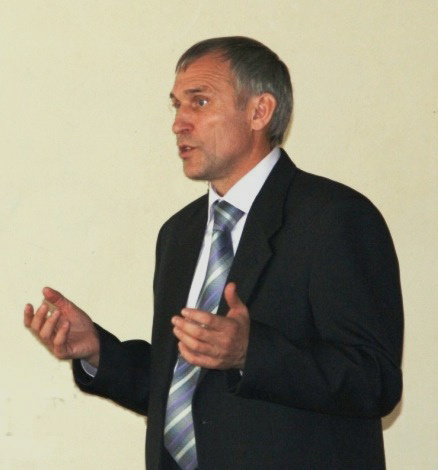 Nikolay Golovanov joined ASCON in 1994 to began development of C3D - the geometic modeling kernel of the company's CAD KOMPAS-3D. 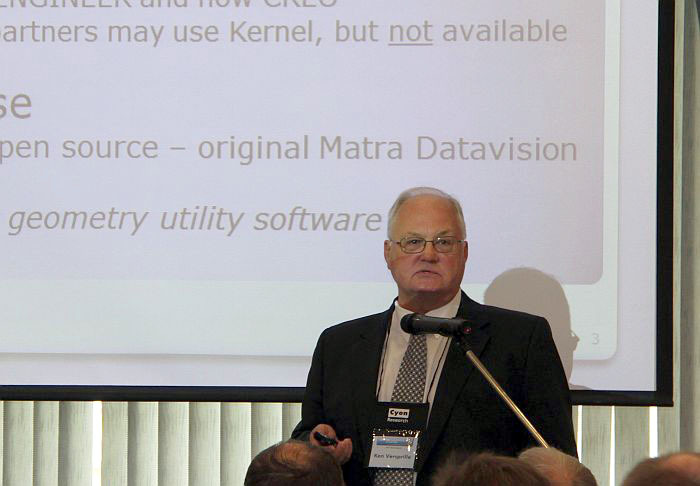 Today he continues to develop algorithms and to improve the C3D kernel - the only commercial 3D kernel from Russia. C3D has for many years been supporting KOMPAS 3D, the full-scale CAD system developed by ASCON, the leading Russian vendor (see for example “Russian CAD. It’s robust and powerful, and someday you may be using it“ by Evan Yares). Recently, C3D became available as an independently developed and distributed product of ASCON and its spin-off called C3D Labs. 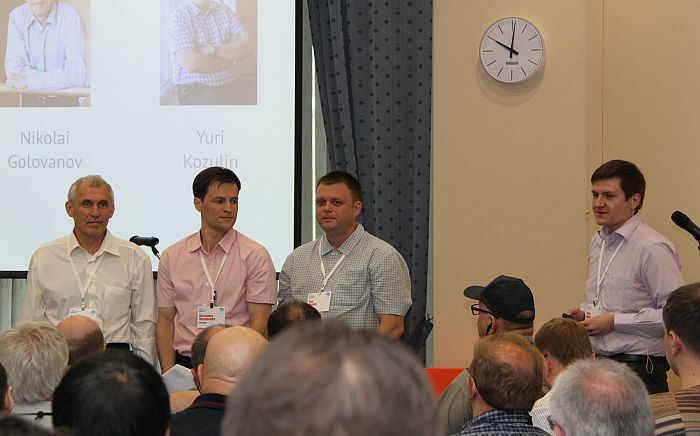 The launch of C3D Labs and its successful developments are efficiently managed by Oleg Zykov. Says Ken Versprille, Ph.D., the inventor of NURBS, "Geometric modeling continues to grow in importance... Understanding the constructs that underlie geometric modeling will place students and developers at the forefront of these new advancements. Nikolay Golovanov has paved the way to that understanding with this comprehensive presentation." Says Joel N. Orr, Ph.D., one of the key persons of Cyon Research and COFES: "Golovanov has created a text that will enable any serious student of geometric design to grasp the full power and beauty of the mathematics behind this essential set of tools, and put them to work. I am deeply impressed by the logical and methodical presentation, and by the clarity of the teaching. Highly recommended!" While being a leading Russian CAD/PLM vendor, ASCON became especially known at the world market after its active participation in the COFES events in Arizona and the COFES Russia 2013 at Petergof – the events that have been for many years organized and managed by Brad Holtz.